President Trump has nominated Porter Wright litigation partner David C. Tryon as Chief Counsel for Advocacy for the U.S. Small Business Administration (SBA). The nomination was sent to the Senate Oct. 3, 2017, and is now awaiting confirmation. The U.S. Senate Committee on Small Business & Entrepreneurship will hold a nomination hearing and, if approved, the nomination will be sent to the full Senate for confirmation. With more than 30 years of legal experience, David has handled a broad range of complex civil disputes in federal and state courts throughout the United States, including disputes involving contract claims, construction disputes, intellectual property, real estate, foreclosure, eminent domain and U.S. constitutional issues. He practices within Porter Wright’s Litigation; Business Competition, Advice & Litigation; and Real Estate Practice Groups. 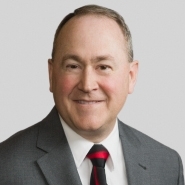 A member of Porter Wright’s Cleveland office, David is a member of the Ohio Advisory Committee for the United States Commission on Civil Rights and President of the Cleveland Lawyers Chapter for the Federalist Society for Law and Public Policy. In addition to representing both large and small corporate matters in court, Mr. Tryon has handled public interest matters on a pro bono basis. He is a graduate of the University of Michigan Law School and has a business degree from Brigham Young University. Born and raised in Cleveland, David has served as the President of the Brecksville/Broadview Heights School Board and is currently an Executive Board Member for the Boy Scouts of America, Lake Erie Council. He is also a lay clergyman in The Church of Jesus Christ of Latter-day Saints.